Welcome to the Nonstop Mom podcast where you'll gain scriptural insight that will help you effectively raise next-generation leaders. Welcome to the Nonstop Mom podcast! Thank you so much for listening. If you like what you hear, please subscribe and check out my blog at www.nonstopmom.net Today, I'm joined by my friend, Jenna Joyner. She shares her testimony of being medically unable to have kids and going through four miscarriages before having her two miracle babies. She tells her full testimony and how she stood on the Word of God to receive the miracle she was believing for. 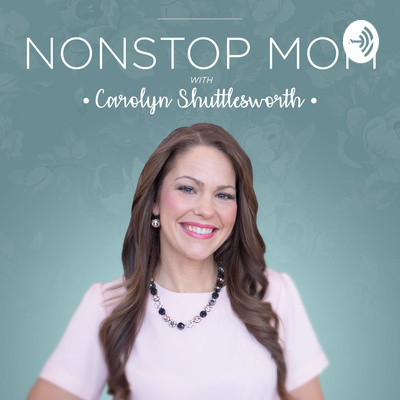 To stay up to date with videos, giveaways, or to simply have a conversation with me, join me on my Nonstop Mom Facebook page right here: https://www.facebook.com/CarolynShuttlesworth/ or check me out on Instagram right here: https://www.instagram.com/CarolynShuttlesworth/ ••••••••••••••••••••••••••••••••• JENNA'S NOTES Hannah: 1st Samuel 1:2, 20 Sarah: Genesis 16:1; 21:1 Rebekah: Genesis 25:21, 23 Elizabeth: Luke 1:7, 57 Rachel: Genesis 29:31; 30:22 Manoah's Wife: Judges 13:2, 24 The Shunammite Woman: 2nd Kings 4:14, 17 My Confession: I confess with my mouth that by THIS TIME next year I will hole MY TESTIMONY in my hands. I declare in the mighty name of Jesus that I will have a beautiful, strong, healthy baby born out of MY WOMB. I will have a complication free pregnancy and delivery. Lord, I thank you ahead of time for it. I have seed sown and I WILL reap the harvest. I WILL HAVE MY MIRACLE! Just like the women in the Bible Hannah, Sarah, Rebekah I TOO WILL HAVE MY OWN CHILD and they will love the Lord and live for him. I will testify to the world about my miracle that could not have been done without the miracle working power of Jesus and my testimony will turn nonbelievers into believers and it will be a gateway to lead people to the Lord. Use me Father! I declare it is done and my baby is on it's way!